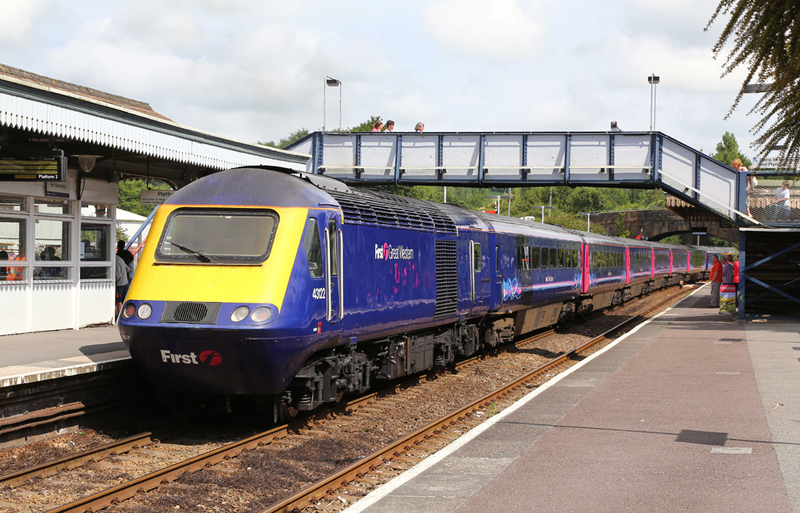 During the Summer of 2014, First Great Western introduced a Saturday's only Locomotive Hauled Diagram in order to release a Class 150 Unit from it's normal operations. The service uses day coaching stock from the overnight 'Night Rivera' service, the Mk3 coaches are a huge improvement in customer comfort, but the set does provide less seating than normal. 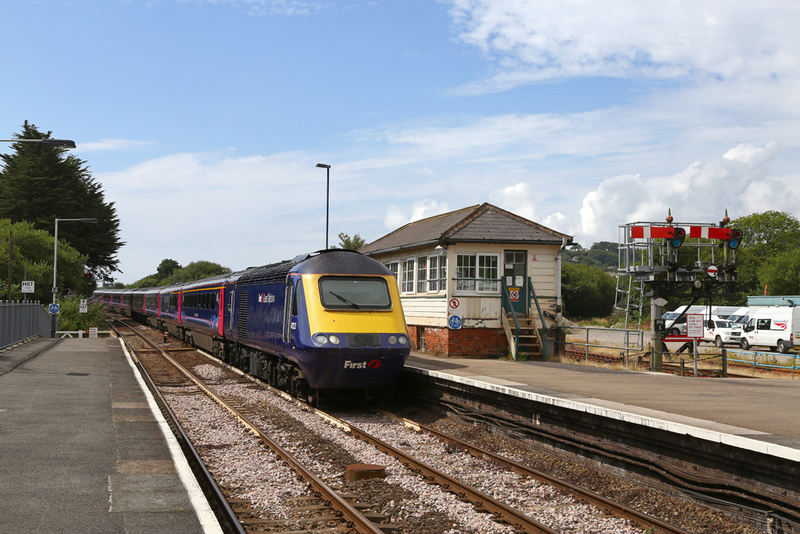 On the 19th July I ventured into Cornwall to travel on board the 11:25 service from Par to Exeter. On the day of travel the set had been strengthen to four coaches rather than two or three. 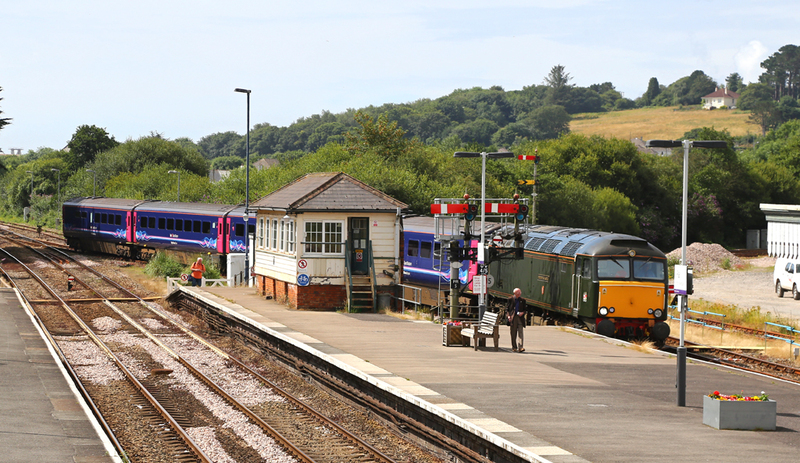 The train has been popular with passengers and enthusiasts, coupled with the summer holidays the additional coaching stock was certainly a welcome sight. 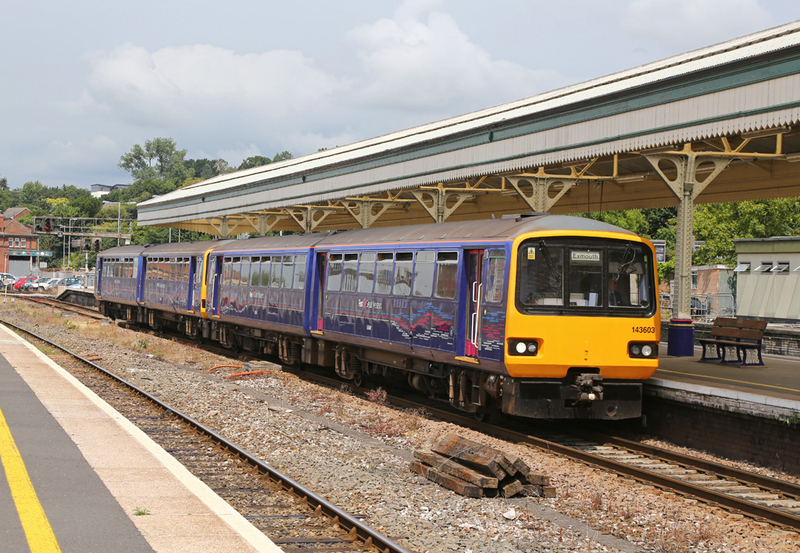 The Saturday diagram will continue to operate while First Great Western begin to refurbish their unit fleet, and fit new disabled toilets/ access into all of their trains. 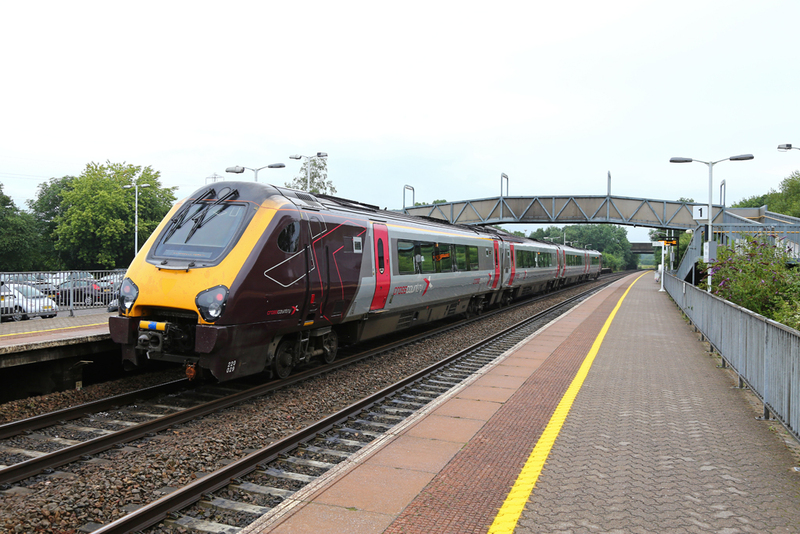 Class 220 No.220029 pauses at Tiverton Parkway Station with the 1S39 06:25 Plymouth - Glasgow service for Cross Country Trains. Class 42 No. 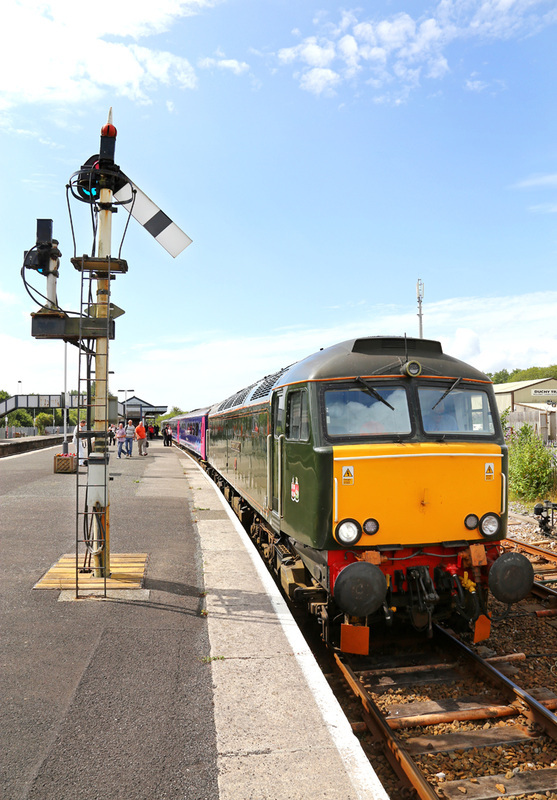 43153 leads No.43122 into Par Station with the 1A83 09:54 Penzance - Paddington service, passing the semephore signals and level signal box. 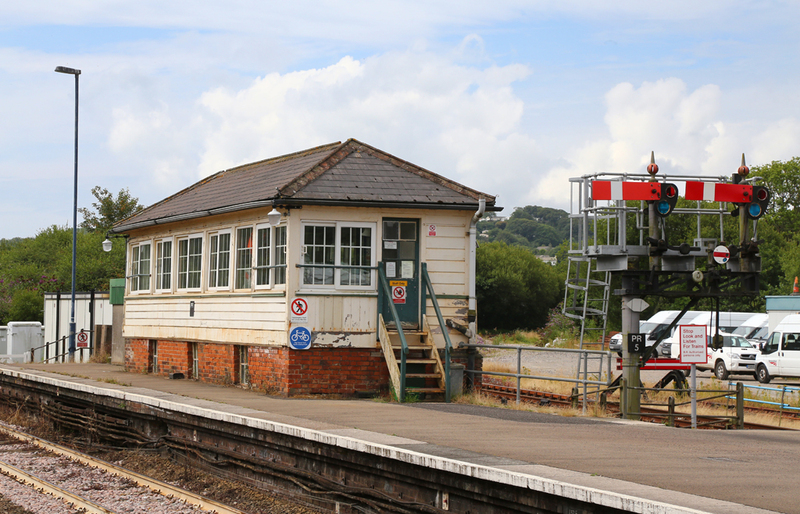 Par Signal Box and Semephore Signals. 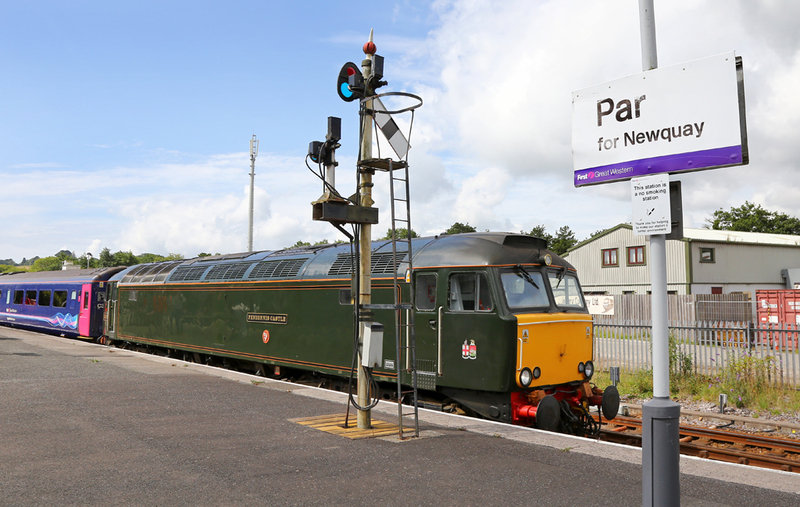 Class 43 No.43122 & 43153 depart from Par Station with the 1A83 09:54 Penzance - Paddington service. Class 57/6 No.57604 'Pendennis Castle' arrives into Par Station with the empty coaching stock from Penzance ready to form the 2C73 11:25 Par - Exeter stopping service. 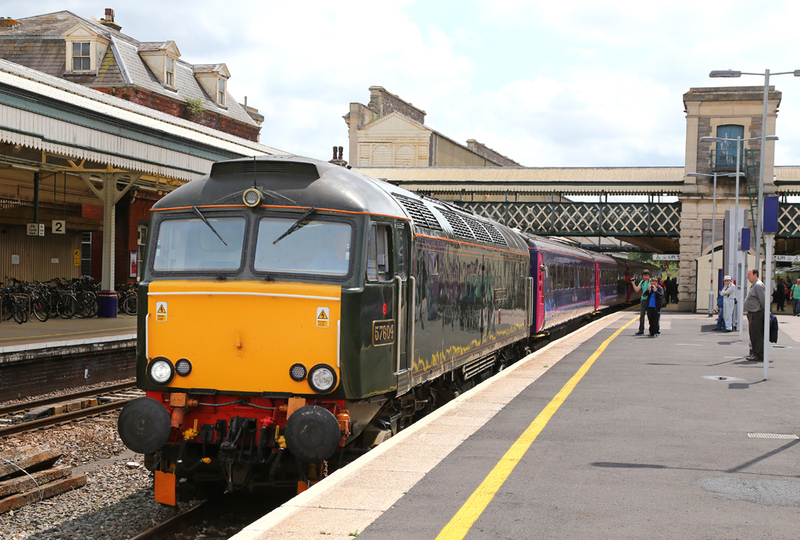 Class 57/6 No.57604 stands at Par ready to depart with the 1E75 11:25 Par - Exeter stopping service. 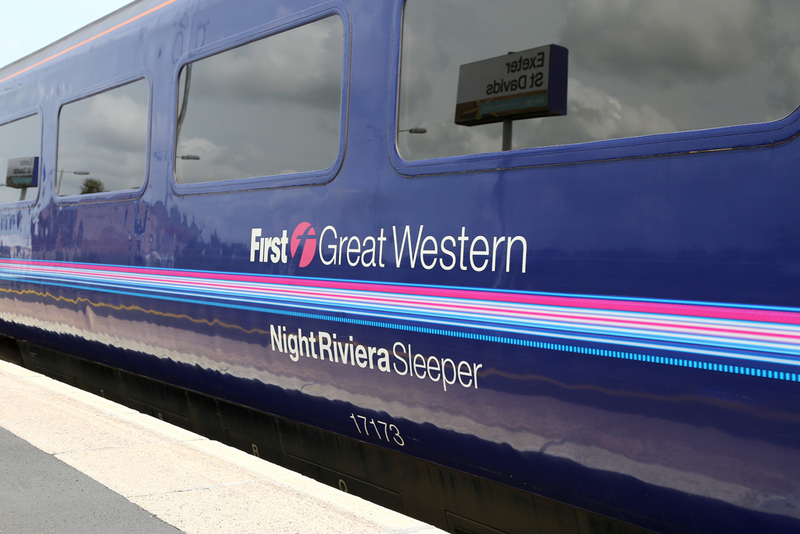 Nigh Riviera branding on the sides of the coaching stock has been raising a few eyebrows with normal customers, wondering just how long their journey could take! 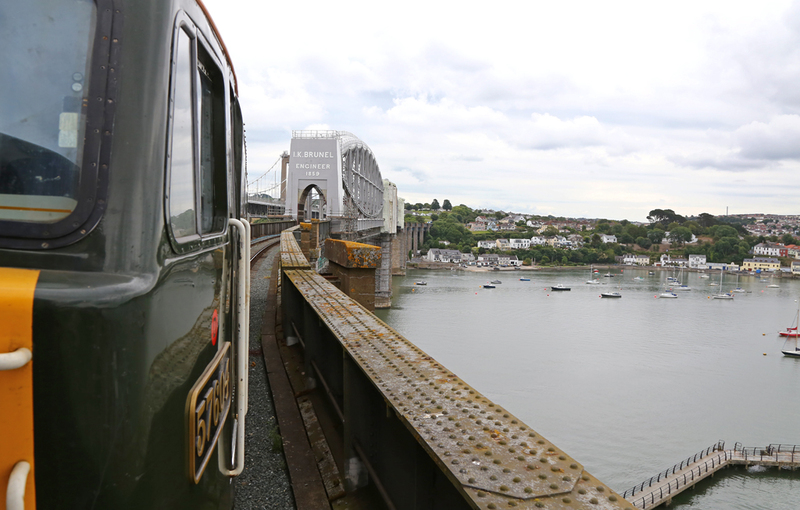 Class 57/6 No.57604 passes over Isambard Kingdom Brunel's famous River Tamar bridge between Devon and Cornwall. Arrival on time into Exeter St Davids at 13:50, here the set recess's at Exeter New Yard before forming the 17:50 to Penzance. First Great Western 2nd Generation Unit No.143603 arrives into Exeter with the 2F31 12:43 from Barnstaple to Exmouth service. 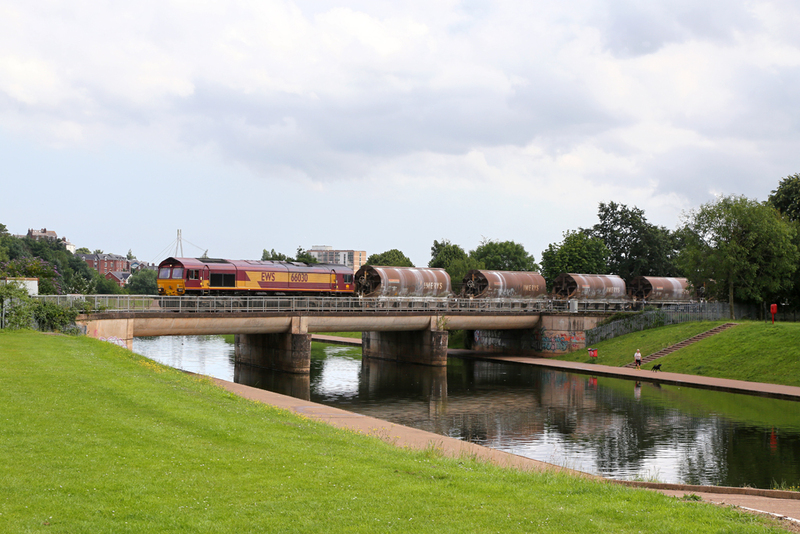 EWS liveried Class 66/0 No.66030 passes the Exeter Canal hauling a rare Saturday freight, the 6Z55 13:10 St Blazey - Exeter Riverside hauled China Clay from Cornwall for onward shipment to the midlands.